In just a few weeks' time we will officially be into the summer 2013 movie season, and we couldn't be more excited about it. After a pretty spectacular summer 2012 - punctuated by films like The Avengers and Dark Knight Rises - 2013 is quickly revealing some promising contenders for our hard-earned money. This summer will offer big superhero flicks like Iron Man 3 and the Superman reboot Man of Steel; exciting sequels like Fast & Furious 6, and Star Trek Into Darkness; anticipated comedies like The Hangover 3 and This Is the End - and potential blockbuster counter-programming selections like the buzzed-about horror flick The Conjuring (horror) or the 3D adaptation of The Great Gatsby. Well, Fandango has taken a poll asking which movies fans are looking forward to the most - and that survey resulted in quite the interesting list of Top 10 picks. See Below. Iron Man 3 - Just kidding, this isn't really a surprise. Given the impressive trailers and non-stop promotional items Marvel has unveiled recently, we'd totally expect their summer tentpole to be at the top of this list. 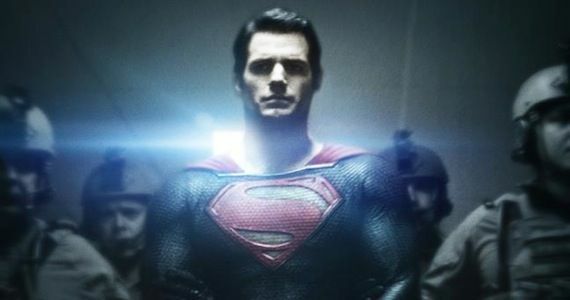 Man of Steel - Despite early word that the Superman reboot combines the best elements of Chris Nolan's Dark Knight Trilogy storytelling style and director Zack Snyder's impressive visual action, this poll clearly shows that Man of Steel's limited marketing and promotion campaign has not yet put the film on the radar of enough moviegoers. Expect that marketing blitz to kick into high-gear once Iron Man 3 is out of the way. 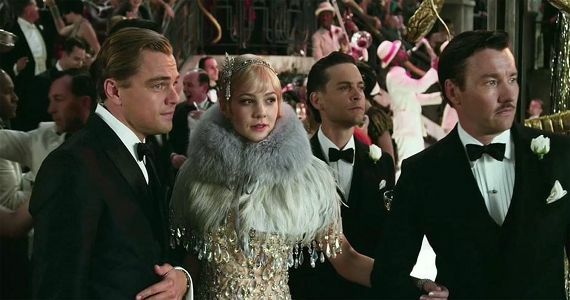 The Great Gatsby - Who knew that an F. Scott Fitzgerald novel that has put so many high schoolers to sleep would become one of the top 3 most anticipated films of summer? We sure didn't. Then again, an all-star cast (Leo DiCaprio, Carey Mulligan, Tobey Maguire and Joel Edgerton), a celebrated director (Baz Luhrmann of Moulin Rouge fame) and a soundtrack masterminded by pop icon Jay-Z - featuring new music from pop stars like Beyoncé and Florence + Machine - all helps to explain why the general public has taken notice. Despicable Me 2 > Monsters University - Pixar may have to soon start rethinking its recent strategy of cranking out franchise sequels, as we don't think anyone ever anticipated seeing an Illumination Entertainment animated film like Despicable Me 2 rated over a Pixar summer offering. Then again, today's kids are too young to really remember (or hold love for) a Sulley and Mike theatrical experience - so Monsters University could be a successful re-introduction. Meanwhile, Gru and his minions clearly have a strong presence in the movie world. The Lone Ranger & World War Z - Okay so these are the big shockers (double entendre intended). 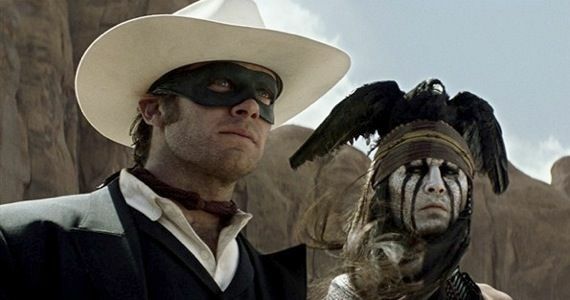 Beyond Johnny Depp's presence, The Lone Ranger trailers barely left an impression on us - and the World War Z trailers haven't even bothered to explained that the hordes of fake-looking CGI monsters are actually "Z"ombies. There are about 5 other films on the horizon we could (and would) rate above these two seemingly generic genre flicks - both of which had very troubled productions, by the way. The fact that they rank at all just proves that mass-marketing approaches like Super Bowl ads really are the only way some people become aware of movies. 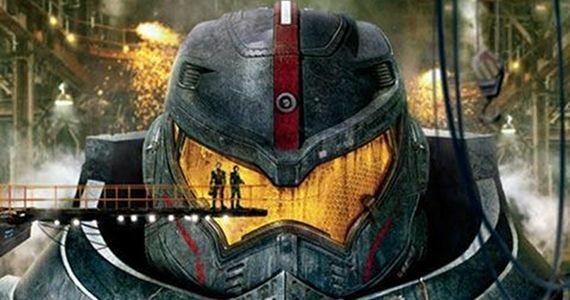 Pacific Rim - It's a bit telling (and unnerving) that Guillermo del Toro's "Robots vs. Monsters" love-letter to Japanese cinema appears nowhere on this list. Could legendary pictures (and del Toro) be in for a big loss? The Elysium Factor - Just a reminder: This poll was taken before films like superhero reboot/sequel The Wolverine, or Elysium (the new sci-fi movie from District 9 director Neil Blomkamp), The Conjuring (from Saw director James Wan) and This Is the End (the sci-fi/comedy starring the likes of Seth Rogen, James Franco and Jonah Hill) really pushed forward with their marketing campaigns. The landscape of fan anticipation could look entirely different by now - just keep that in mind.